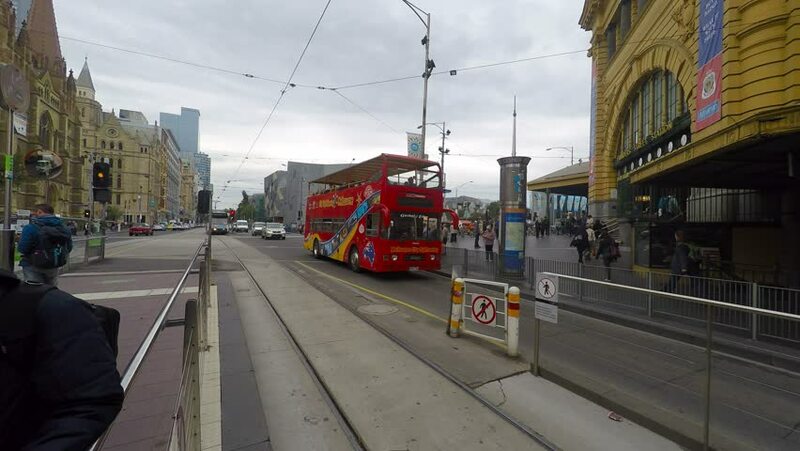 MELBOURNE, VICTORIA- 14 April 2015: Pan right view of Melbourne Double Decker bus passing in front of Flinders Street Train Station, Melbourne, Victoria. hd00:16MILAN, LOMBARDIA / ITALY - DECEMBER 31 2017: On a cold winter day, tram transit in the center of Milan. Some run on the tracks, others stop to pick up or drop off passengers. hd00:08LONDON, UK - JANUARY 2014: The train arrives at the station Greenwich. The DLR station at Greenwich is located in the National Rail station. 4k00:16SAN FRANCISCO - Circa October, 2015 - An establishing shot of Castro Street in San Francisco. hd00:09Turin, Italy -06/01/2018. Electric tram by Piazza Vittorio. The city is try to avoiding air pollution by promoting public transport and Electric cars. Old diesel are not allowed anymore.